It must take a creative terrorist to convert iTunes into a weapon, although perhaps the American military has set a precedent. It allegedly found that prisoners quickly spilled their terrorist secrets when made to listen to Neil Diamond records. The iTunes EULA demonstrates that there are interesting things to be found buried deep within all of that legalese. Just ask Doug Heckman, a man who decided to read a PC Pitstop program EULA before he installed the software. That agreement included a clause offering 'financial compensation' to licensees who read the license agreement. Heckman emailed PC Pitstop and was promptly rewarded with a cheque for $1000. An Irish soldier has told the Ennis conspiracy to murder trial that he filled out an application form on a website called Hitman for Hire because he thought it was an internet joke. 23-year-old Brian Buckley from Finglas is giving evidence in the trial of Sharon Collins and Essam Eid. Ms Collins denies hiring Mr Eid through the internet to kill her partner PJ Howard and his two sons. Mr Buckley described to the Central Criminal Court that he had been on his mother's computer in 2006 looking for cheats for a computer game called Hitman when he came across a website called Hitman for Hire. He clicked on the website and was shown an animation of a cartoon hitman - a man wearing sunglasses and holding a pistol. He said he never once considered it was real - he thought it was an internet joke. He filled out a recruitment application form on the site 'out of curiosity and stupidity', he said. He gave a fictional list 'the length of his arm' of his weapons skills on the site and gave a false name. He wrote on the form that he could use a handgun, rifle submachine gun, grenades, and had experience of basic booby traps and limited poison making experience. He later got a number of emails and phone calls from someone calling himself Tony Luciano, whom the prosecution allege is Essam Eid. 'Tony Luciano' said he had a job for Mr Buckley: 'Two males in Ireland, one in Spain, as soon as possible. Let us know. We will try to phone you.' Another email asked for Mr Buckley's help in getting some strong poison - it said one of them would be at Shannon and could not import it into the country. And he promised to pay. Mr Buckley said initially he thought it was a joke and was curious to see what it was. But he became uneasy about the whole situation. He got a few phone calls from 'Tony' and fobbed him off telling him he had the wrong number. He said he wanted to stay as far away as possible from the whole thing. He felt it was getting serious and did not want to have anything to do with it. He said in the end he did not see it as a joke but did not see it as serious either - it just seemed odd. Concussion and longer-lasting brain damage caused by the compression waves from explosions are a growing problem for the military. Carbon foam able to absorb a blast could help tackle that. A team funded by the US Army Space and Missile Defense Command in Huntsville, Alabama, has developed panels of carbon foam with pores varying in size from 50 micrometres to 2 millimetres. Carbon foam is made by heat-treating particular materials made from carbon fibres. In tests, panels of the foam absorbed up to 83% of the energy of a blast wave from the detonation of 2 kilograms of C4 explosives at a distance of only 20 centimetres. This is possible because the foam's pores collapse when hit by a compression wave, absorbing its energy. The team says the material could be used to protect rooms and vehicles and, if used to enclose explosives, could prevent their accidental detonation when caught in a blast. Read the full explosion-absorbing foam patent application. Mozilla has finally set a date for the official launch of Firefox 3 - which open sourcers hope will set a world record for most ever downloads in a day. Firefox 3.0 will be ready for download from next Tuesday - 17 June. But the big day, dubbed Download Day, could be delayed if a serious bug is uncovered at the last minute. The browser claims to be quicker, more stable and to make it easier to set bookmarks. Mozilla hopes to get at least 1.6 million downloads within 24 hours and set a new Guinness world record. It hopes Firefox fanboys and girls will organise parties and get people to sign pledges to download the browser. Mozilla claims to have received over 40,000 pledges from the UK and more than 180,000 from the US. Release Candidates of the software have been tested over the last few weeks. Firefox accounts for some 20 to 30 per cent of browser market share, depending on whose figures you believe. It is the most popular of the alternative browsers - those that are not pre-installed on PCs. There's more on the record attempt here. AMD OverDrive is a piece of software released for enthusiasts tweaking of the system. PCGH: Will the PC version support DX10? Corrinne Yu: The PC version supports DX10. PCGH: What are the technical advantages of that API? Corrinne Yu: The most significant advantage of DX 10 is virtual texture management. It provides a unified reliable render memory model not available in DX 9. PCGH: Do you use advanced features of Direct X 10/Shader Modell 4 like Geometry Shader, Virtual Texture Management etc.? Can you please give examples how they are utilized? In what way do these features improve or simplify the rendering process? Corrinne Yu: We take advantage of many features of SM 4.0. We use DX 10 geometry shader to improve shadow map precision. We use virtual texture management to increase pixel fidelity of our rendered worlds. PCGH: Will the DX 10 visualization differ substantially from the graphics that are rendered with DX 9 hardware? Corrinne Yu: Lighting, shadowing and visual fidelity will improve on DX 10 hardware. SM 4.0 allows us to compute lighting more correctly. The GPU API is designed better this time around. BorderlandsPCGH: How much of a performance hit will the improved optics of DX 10 incur? With all details maxed out is a typical first gen DX 10 card like the Geforce 8600 GTS/8800 GTS (320 MB Video RAM) or HD2600/2900 XT already running at its limits? 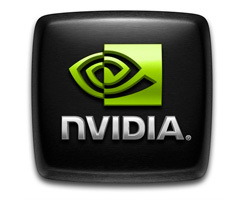 Corrinne Yu: I recommend the GeForce 8800 GTX over earlier GTS models. VRAM-wise we can display details even on a 320 MB adapter because of our streaming system and the render buffer memory design we created for our gun compositing system. PCGH: Finally: Can you tell our readers what hardware will be recommended (not required) to play the game with all detail in 1.280x1.024 (no FSAA/AF) and 1.600x1.200 (4x FSAA/8:1 AF)? Corrinne Yu: I recommend a DX 10 class card coupled with a PC with a lot of CPU memory, not just GPU VRAM. Sufficient CPU RAM is crucial to the proper performance of virtual texture management. PCI Express 3.0 - Going for 300 Watt ! The PCI Special Interest Group held a press conference, detailing the shift to PCI Express 3.0 in roughly 2010, and improvements to the external cabling specification that allow for external graphics solutions. The PCI-SIG said last year that they were preparing an electromechanical specification for these types of cards, and in fact, according to a SIG slide presentation released ahead of the meeting, the specification was released at the end of March. Why do we need such a spec? As of now, the 150-watt spec is no longer sufficient, according to the SIG. Besides the 2x3 connector defined in the 150W Graphics Spec 1.0, a new 2x4 connector is being defined for delivering power to the 225/300W cards, the SIG said. Man, did Yahoo overplay their cards, when they had the oppertunity to agree to a fantastic offer. Yahoo! announced that discussions with Microsoft regarding a potential transaction -- whether for an acquisition of all of Yahoo! or a partial acquisition -- have concluded. The conclusion of discussions follows numerous meetings and conversations with Microsoft regarding a number of transaction alternatives, including a meeting between Yahoo! and Microsoft on June 8th in which Chairman Roy Bostock and other independent Board members from Yahoo! participated. At that meeting, Microsoft representatives stated unequivocally that Microsoft is not interested in pursuing an acquisition of all of Yahoo!, even at the price range it had previously suggested. With respect to an acquisition of Yahoo! 's search business alone that Microsoft had proposed, Yahoo! 's Board of Directors has determined, after careful evaluation, that such a transaction would not be consistent with the company's view of the converging search and display marketplaces, would leave the company without an independent search business that it views as critical to its strategic future and would not be in the best interests of Yahoo! stockholders. Yahoo! remains focused on maximizing value for stockholders by continuing to execute on its strategy of being the "starting point" for the most consumers on the Internet and a "must buy" for advertisers. The online advertising industry is projected to grow from $40 billion in 2007 to approximately $75 billion in 2010 and the company believes it has the right assets, strategic plan, Board of Directors and management team to capitalize on this growth opportunity. A senior civil servant has been suspended for leaving top secret intelligence documents on a Waterloo to Surrey train. The commuting spook left an orange envelope on a seat when he got off the train. It contained two documents prepared for the Joint Intelligence Committee - one on the capabilities of Iraqi security forces and one on al-Qaeda's vulnerabilities marked "UK Top Secret" and "for US/UK/Canadian and Australian eyes only". The documents were handed in to the BBC which passed them to the police. A spokesman for the Cabinet Office told the Beeb: "Two documents which are marked as 'secret' were left on a train and have subsequently been handed to the BBC. The unnamed male civil servant worked for the Cabinet Office. Police were already searching for the documents which he had reported missing. Keith Vaz, chair of the Home Affairs committee, called for an official inquiry, as did the Tories. Civil servants can face disciplinary action for leaving such documents on their desks within Whitehall. Strict procedures are supposed to mean these documents are only considered safe when properly locked up. The government's review of data security did mean civil servants were carrying copies of documents to work on at home because they were no longer allowed to take insecure and unencrypted laptop computers out of the office. But we kind of hoped the security services took this stuff a bit more seriously. The government last night won the right to intern terrorism suspects for 42 days without charge. Brown won by nine votes provided by the Democratic Unionist Party. The DUP has denied it did any deal with Brown in exchange for votes. AMD is partnering with Intel to improve the way its graphics chips can handle physics and other scientific calculations. Well, sort of. AMD's actually working with Intel subsidiary Havok, which the chip giant acquired last year. Havok operates separately from Intel to develop its Havok FX physics processing API, which allows developers to code up such algorithms to run on GPUs rather than CPUs. It's main rival was Ageia, developer of a similar API and a dedicated chip, PhysX, to run the calculations. Ageia, however, is now part of Nvidia, which is understandably playing down PhysX while promoting Ageia's software technology as a way of running physics calculations on its own GPUs. All this stuff is going to run on discrete graphics chips, so it makes more sense for AMD to partner with an Intel company, which isn't competing with it - yet - in the discrete GPU market. The partnership will ensure that Havok FX can take full advantage of the idiosyncracies of AMD's Radeon GPU architecture and of its x86 processors. Games, in particular, are increasingly incorporating algorithms that can model complex interactions between players and the worlds they inhabit. Traditionally, these calculations have been handled by the CPU, but they're better suited to the GPU's parallel-processing design, which whizzes through them while the general-purpose CPU would struggle. GeForce GTX 260 price drop to $399 ? Word is spreading that NVIDIA will lower the price of the GeForce GTX 260 from $449 to $399 to make the card more competitive against ATI's Radeon HD 4870. NVIDIA GeForce GTX 280: $600-$650 ? Rumors ... of course, another one is that the new suggested retail price might drop as low as $499 for the GTX 280; but that one is very doubtful. Cute .. Elecom has launched very stylish, compact stereo speaker system ASP-CR550P for iPod and ASP-CR550 with 3.5mm stereo mini- plug for digital players and laptops. The Elecom stereo speaker systems can be used as one piece where space is a problem or as two separate left and right speakers. This clever idea makes it very easy to carry the speaker unit in style when not in use. The Elecom stereo speaker systems ASP-CR550P/ ASP-CR550 with two full range 40mm diameter speakers, 2W (1W+1W) out put are powered by alkaline batteries or AC adaptor. When using the AC power source, the iPod also gets charged. The Elecom stereo speaker system is available in three colors-white, grey and black. The unit measures 64x57x112 mm, weighs 110 g (no battery). The Elecom iPod model ASP-CR550P is available for approximately 5,040 yen ($50) and model ASP-CR550 for 3,780 yen ($37) in Japan. Western Digital today launched its new line of WD Caviar Black 7200 RPM 3.5-inch SATA (Serial ATA) hard drives for high-performance desktop, workstation and multi-drive systems. Available in capacities of 750 GB and 1 TB, WD Caviar Black hard drives are part of a new family of WD product categories designed to simplify the buying experience for customers worldwide. WD Caviar Black drives combine 7200 RPM spin speed with the SATA 3 Gb/s interface and 32 MB cache to deliver ultimate performance in a maximum-capacity drive. WD Caviar Black 750 GB (model WD7501AALS) and 1 TB (model WD1001FALS) hard drives will be available next week for approximately for $199 and $249 respectively. Today Guru3D reviews five heatpipe based CPU coolers from Noctua, CoolerMaster Z600, Tuniq, OCZ Vendetta 2, Coolink. Over the past month or six several new heatpipe based coolers where introduced onto the market. And I already can disclose this .. not one single cooler was doing a below average result. So for this test I decided to go a little more extreme. We'll crank up the usual system requirements a notch by using a fairly high-end PC as we take a Core 2 Duo Q6600 Quad Core processor and then overclock it to 3600 MHz to see how well these coolers still do. The Xbox 360's infamous Red Ring of Death problem was the price Microsoft paid for attempting to save money by designing its own graphics chip for the console rather than buy one off a specialist supplier, it has been claimed. Speaking at a chip conference in California, Gartner chief analyst Bryan Lewis said the software giant created the console's graphics engine itself in a bid to reduce the cost of producing the console, EETimes reports. Had the company gone to a company like AMD or Nvidia in the first place, he suggested, it would probably have avoided the problem. A graphics specialst, he said, would have been able to come up with a GPU that pumped out a lot less heat. Overheating was fingered early on as the cause of the RRoD failure. In 2007, Microsoft said it would spend $1bn to fix Xbox 360s suffering from the RRoD. Microsoft has never given specific details for the reason for the failure. When it announced the $1bn charge, Xbox chief Robbie Bach it said the issue was not related to the console's manufacturing and hinted it was the result of a "Microsoft-initiated design". Lewis claimed that Microsoft subsequently called on a graphics chip maker - no, he didn't say which one - to fix the problem. It's believed that AMD got the gig, having acquired GPU maker ATI. It was ATI's 'R500' GPU that was the basis for the Xbox 360 graphics engine. Certainly, ATI was always claimed to be the Xbox 360 GPU supplier - it said as much itself back in 2003. "We selected ATI after reviewing the top graphics technologies in development and determining that ATI's technical vision fits perfectly with the future direction of Xbox," said Bach at the time. When the 360 was finally released and able to be taken apart, pundits found both the console's GPU and CPU stamped with Microsoft logos. Essentially, Microsoft took ATI's design, added some extra bits and sent to out to manufacturing. Last month, it was claimed that Microsoft ordered its first 65nm graphics chip, believed to be intended for use in a further revision of the Xbox 360, codenamed 'Jasper' and due this summer. Burn them games! They are the devil's work! Simply amazing. Rev. Richard Patrick has come out of the woodwork to jump on the "games are evil" train and share his myopic, frightened views with the world. The real kicker here is that he suggests having a game burning" without the slightest trace of irony. HP TouchSmart PCs feature a clutter-busting, all-in-one form factor made to fit into common areas of your home. The bulky look of a desktop is gone. Instead, there's a sleek, piano-black design with elegant espresso side-panel highlights that add a look of sophistication to any room. The footprint is smaller, but HP TouchSmart PCs deliver big visuals on a 22" diagonal hi-def widescreen, along with powerful, more energy-efficient performance with an Intel Core 2 Duo processor. One cord powers the entire PC. A wireless keyboard and integrated wireless LAN, receivers and dongles reduce dangling wires. Interact with the PC via your fingertip, wireless mouse or low-profile keyboard, which stows away to free space when not in use. With the 22" diagonal hi-def widescreen and built-in premium stereo speakers, your TV shows and videos look and sound awesome on the HP TouchSmart PCs. The HP TouchSmart PCs can be many things to many people: It's a desktop PC, an entertainment PC and a communication hub of the house. With prices starting from $1,299, the HP TouchSmart 2 sports a 22-inch display, "500GB disk, 256MB of NVIDIA GeForce 9300 M HS HD graphics, 802.11n WiFi, and 2.16GHz Intel Core Duo T5850 processor thumping through the cycles."